Friends and family of Mac Miller are coming together to honor the late musician and make a positive change in the world. 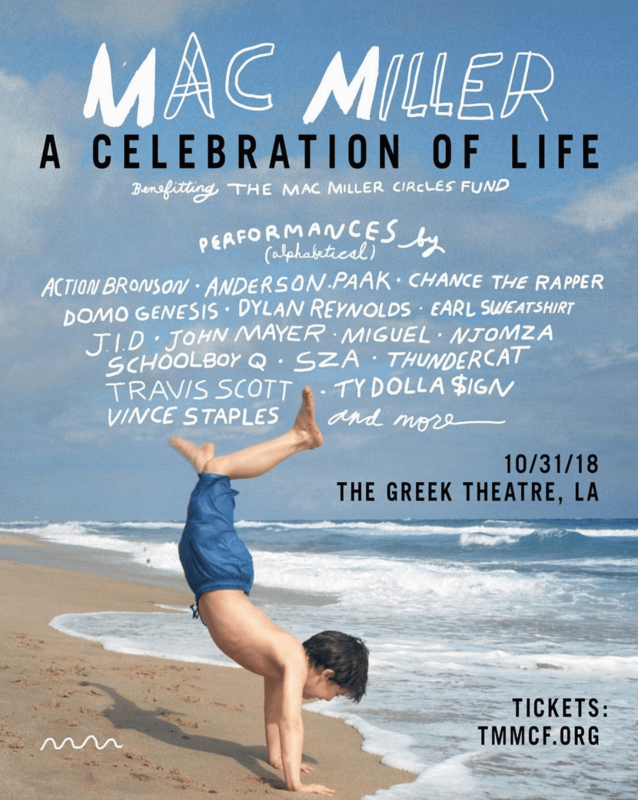 On Tuesday Miller’s parents and brother, along with his management team, announced “Mac Miller: A Celebration of Life,” a concert benefit that not only pays tribute to the rapper — born Malcolm McCormick — with some of his favorite musical comrades, but also launches a new charity, The Mac Miller Circles Fund (MMCF). The show is due to take place Wednesday, Oct. 31, at Los Angeles’ legendary Greek Theater, and will feature a diverse roster of performers including friends Chance the Rapper, John Mayer, Travis Scott, Miguel, SZA, ScHoolboy Q, Vince Staples, Ty Dolla $ign and more. Tickets will go on sale Friday, Oct. 5, at 10 a.m. PST via Ticketmaster. The organization seeks to provide programming, resources, and opportunities to youth from underserved communities, helping them recognize their full potential through exploration in the arts and community building.